I am Madeleine White, a business owner, writer, mother and communications expert. I met Wissal when I was speaking about the power of technology at an international event in Dubai last February. 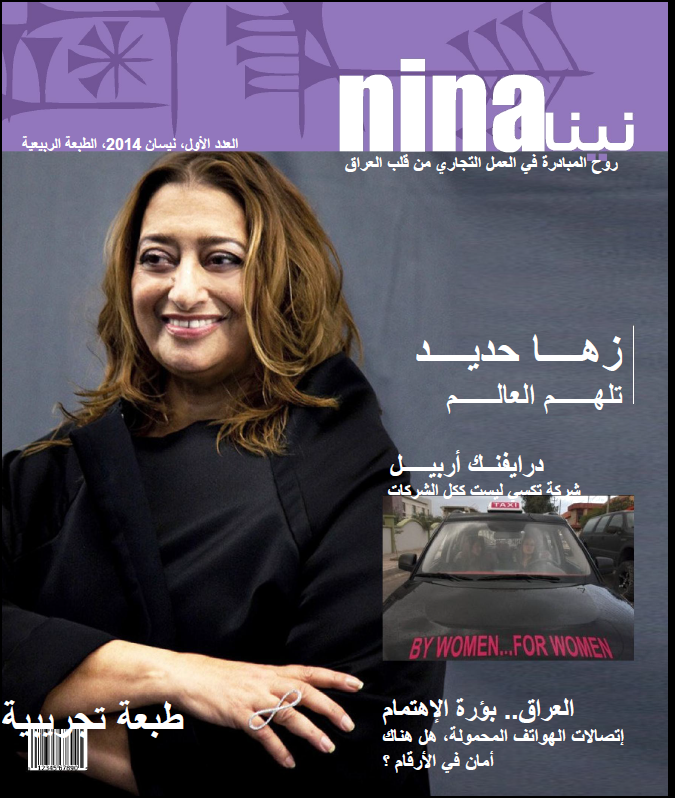 Wissal’s desire to communicate her thoughts shared above in a forum that links real voices to technology, is the inspiration behind a new project to launch Nina a magazine for and by Iraqi women and the men that matter to them at the end of April 2014. The magazine, to be published by the PSDC initially in English and Arabic, and distributed in country (Erbil, Bagdad and Basra) and across the world via the internet, will focus on creating women’s economic empowerment by sharing experiences, needs and success stories in print and online. An estimated launch readership of 50,000 across the web and in print will harness the desire of in-country and diaspora Iraqis to connect and support each other, creating a meeting point for tradition, innovation and ideas. We will be posting regular project updates and showing you project progression on the PSDC website. At the moment you can see a very draft impression of how we expect it to look. Nina is all about co-creation, so your thoughts and comments are essential! The logos will be up in the next couple of weeks for you to comment on. Nin is what many believe to be the first definition of the word goddess – a female being with the power to transform lives. Nin was also seen as the embodiment of the spirit of the ancient city of Nineveh (close to modern Mosul). Eventually Nin became the root of Nina, the name we have chosen, a name able to across languages and cultures – as the Heart of enterprise and the Spirit of Iraq. · Nina: the Spirit of Enterprise, the Heart of Iraq - a magazine for and by Iraqi women and the men that matter to them, will be published at the end of April / beginning of May 2014, with accompanying launch events in the UK, Iraq and Sweden. · Bulk subscriptions are priced at $1.50 per magazine. Check out how far we have come, see the latest information here.